An exhibition is an event which is organised to allow businesses to showcase their products and services to the public, or to other businesses. Exhibitions and trade shows still provide the best sales and marketing opportunities and provide many benefits if executed correctly. If planned well to ensure you are attending the right event, with the right people, and the right approach, then your business will see a return on your investment. There are different types of exhibitions you can attend depending on your business objectives. Many factors need to be considered when choosing the right event for your business. Location, target market, cost, marketing objectives and most importantly – how you will present yourself as a professional business. Here are 5 different types of exhibitions and the product solutions we have to offer to make sure you stand out from the crowd. For a large scale exhibition or trade show it’s important that you understand the expected foot flow of the show. Most events will advise exhibitors of the amount of visitors that have pre-registered to attend so that you know how busy the event is likely to be. If you are a regular exhibitor you will already have some idea of what to expect. For a large show you can guarantee there will be a large exhibition hall full with row after row of businesses competing for the attention of each and every visitor that passes. Not only competing for their undivided attention during the show, but competing for their first thought after the show too. You don’t just want to impress whilst you’re there you want to stand out enough to be remembered once the exhibition is over. We create, design and build bespoke exhibition stands that get you results. Whatever your ambitions or budget we are able to design a stand that can wow your potential customers and meet your business and marketing objectives. With a wide range of exhibition systems available we will take your concept and design something unique to your brand. With the thousands of visitors that will be passing your stand it’s vital that you pull out all the stops to ensure you impress, and gain the new business leads that you have set out to acquire. Creating a custom bespoke exhibition stand is the perfect way to do this. 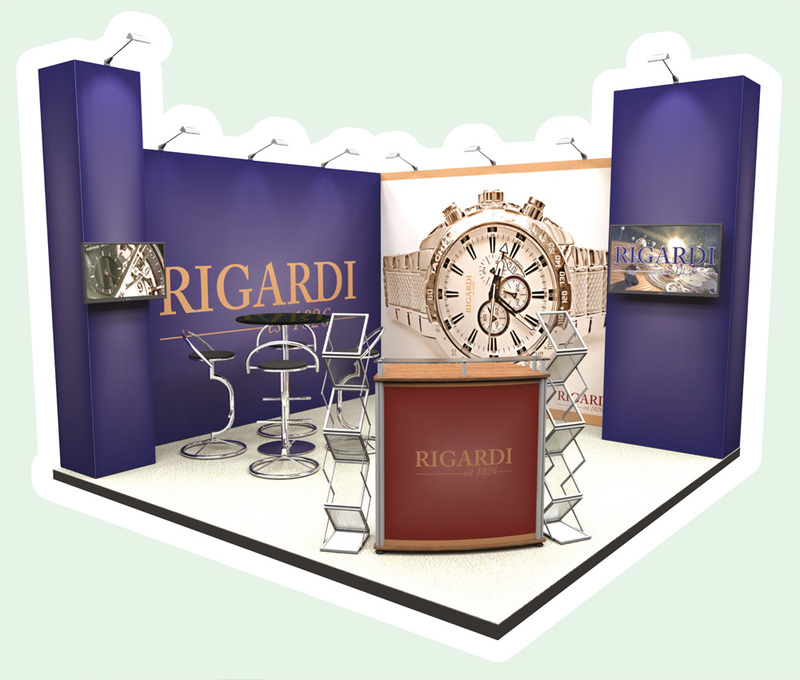 Talk to our dedicated exhibition stand project manager to start your exhibition stand design call on 01733 511030. There are many different products that we are able to offer for smaller exhibition which can have a huge impact on your potential customers without the need for a huge budget. Our popular 3x3 pop up is just £429 and comes complete with a large exhibition back drop, lights which illuminate your artwork, a graphic wrap and counter top which turns the case in to a promotional counter with additional marketing space. It’s our best-selling portable display solution! New to XL Displays, the Link2 is our premium roller banner and the world’s first linking banner stand. The Link2 roller banner allows you to link multiple banners together to create a large display with seamless graphics. A single Link2 banner is just £225. 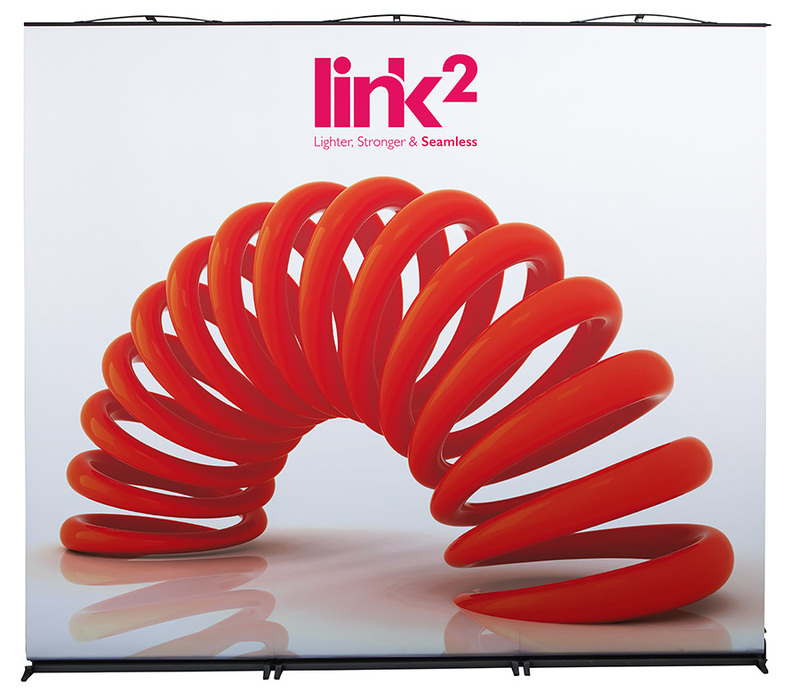 Our 3 panel Link2 banner stand is just £586 and covers a stand width of 2550mm. You have the ability to, not only link these roller banners together, but if you add in a Link2 Flexi-link kit you can bend and flex round corners too – perfect for any shell scheme. If you have a little more to spend, you could create an eye catching exhibition display with Twist. A truly flexible and portable display kit that you can use again and again. With a clever graphic design this system can be reconfigured it to look different each time. The Twist system is budget dependant so the more you have to spend then the more we can do for you. 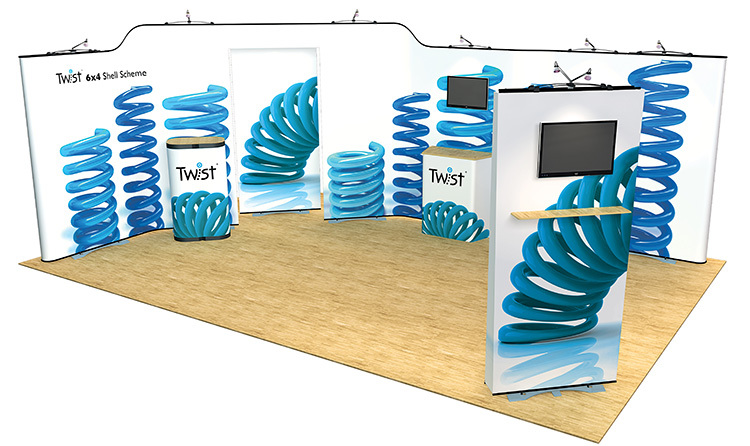 We can supply a Twist 3 panel exhibition kit from as little as £625 or we can provide you with a more bespoke exhibition display to suit a larger budget. The truly impressive thing about the Twist system is, even if you don’t have the budget right now to create something larger, you have the ability to add to your Twist kit at a later date when a larger budget is available. You will never outgrow Twist. Once you have decided on which display is best for you, then consider adding accessories to your exhibition stand to maximise your area. We offer a wide range of custom printed table cloths, iPad display stands, literature holders and promotional counters that are ideal for accompanying your exhibition stand and don’t require too much of your budget. For conferences or training events you still need to make an impact but a smaller scale display kit might be required. We offer a range of table top displays boards and printed tablecloths. This will create a professional appearance and provide you with space for displaying marketing material. Our bestselling 6 panel folding display board kit is ideal for training and conference events. It provides more space for marketing material, it’s lightweight and portable and comes with a carry bag making storage and transportation easy. Graphics can be left in situ making set up and dismantling easy and fast. For larger training and conference events consider our panel and pole display board kits. This is a modular display board system. You can use all the panels and poles to maximise your display area. Alternatively for events with limited space you can use a smaller combination of panels and poles to fit the space available. Our banner stands are ideal for conference and training events. Lightweight and portable, they can be assembled within minutes, and provide a professional look to your stand. You may also like to add in a leaflet dispenser for displaying sales and training material during your event. We offer a wide range of outdoor displays which are ideal for sporting events, country fairs, exhibitions, trade shows and festivals. For an outdoor exhibition or show it is best to have display equipment that is specifically designed for outdoor use. We offer a wide range of outdoor banner stands, flags and signs which are weather resistant and have been designed to withstand certain wind speeds. 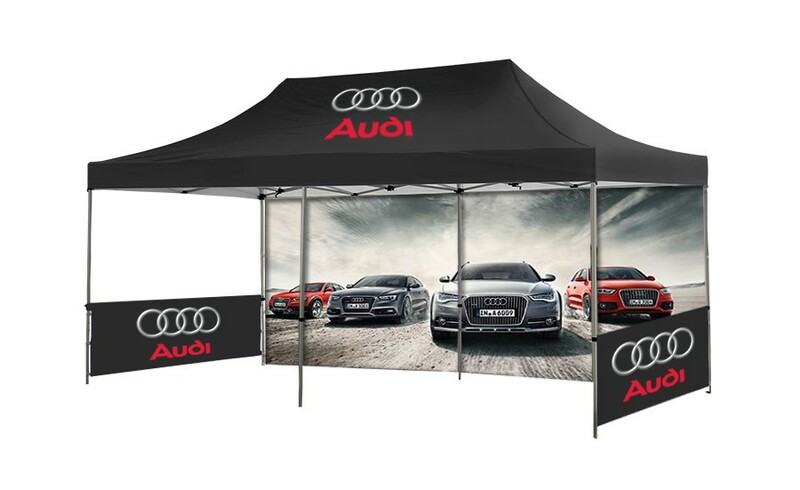 Our printed gazebos offer maximum brand exposure and cover a large floor space. 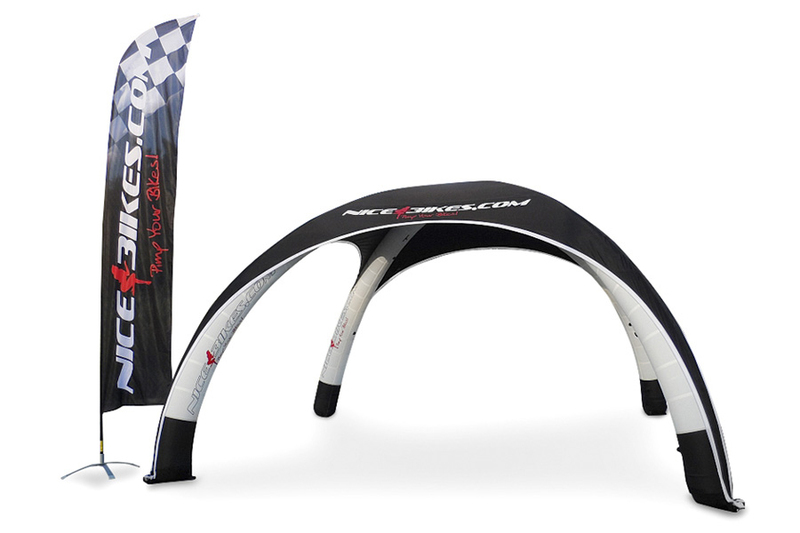 You can custom print the gazebos to attract the attention of passing visitors and add in fully printed walls to further customise your display. The X-GLOO inflatable event tent is our ultimate outdoor display solution! The X-GLOO Inflatable Event Tent is ideal for any company looking to maximise their branding potential at both indoor and outdoor exhibitions and corporate events. Inspired by the classic igloo shape, the X-GLOO Event Tent range offers nearly limitless customisation options and brand potential whilst providing a sturdy promotional outdoor display solution. Thanks to the innovative design of the X-GLOO event tent, it can be set up in as little as 5 minutes by just one person, depending on the size of the tent. Once inflated the X-GLOO can be anchored down on any surface, hard or soft and is capable of withstanding winds of up to 60kmph. Want to know more about the X-GLOO? Call us on 01733 511030. Many outdoor display products can also be used indoors so they are ideal if your budget is tight and you need display equipment to suit both indoor and outdoor events. Craft fairs are becoming increasingly common events and usually consist of compact stand spaces in small venues. Exhibitors require small scale display equipment, often on a limited budget. We offer a wide range of pull up banners which are perfect for small craft fair events and our printed tablecloths are a great marketing tool for these smaller events. The printed tablecloth and roller banner bundle is great value and includes a tablecloth in your colour choice branded with your logo, as well as two grasshopper banner stands printed with your artwork. 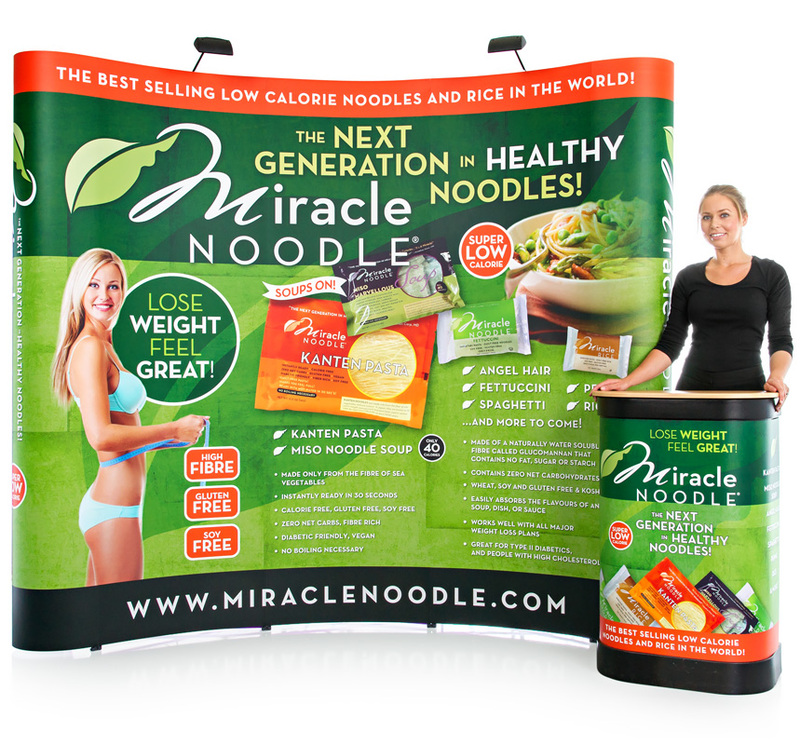 The tablecloth and banners in the bundle is a low-cost and high-impact display solution - making this an ideal kit for smaller events or first time exhibitors. For more information, please contact us or call us on 01733 511030.